Interesting and menacing looking creature. I'm glad I read up on the wasp! Wow, thanks for sharing these images. 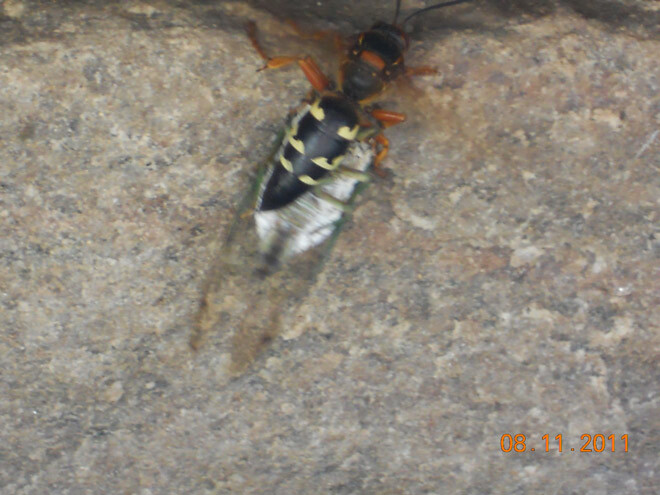 We always like to get photos of Cicada Killer wasps with their cicada prey. 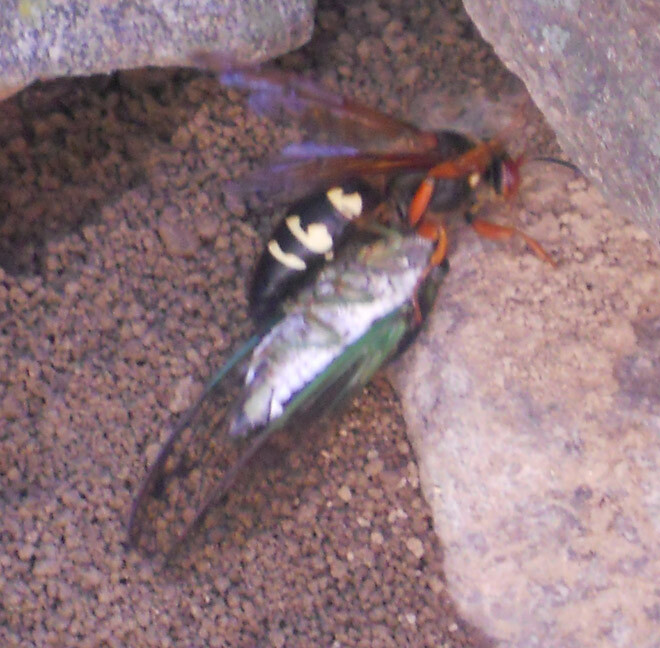 We use cicada killers in order to guage the species of cicadas that are in the area of their burrows. I can see enough of the cicada to tell you that it is a female from the species Tibicen tibicen (formerly Tibicen chloromerus). Thanks for sharing these photos.